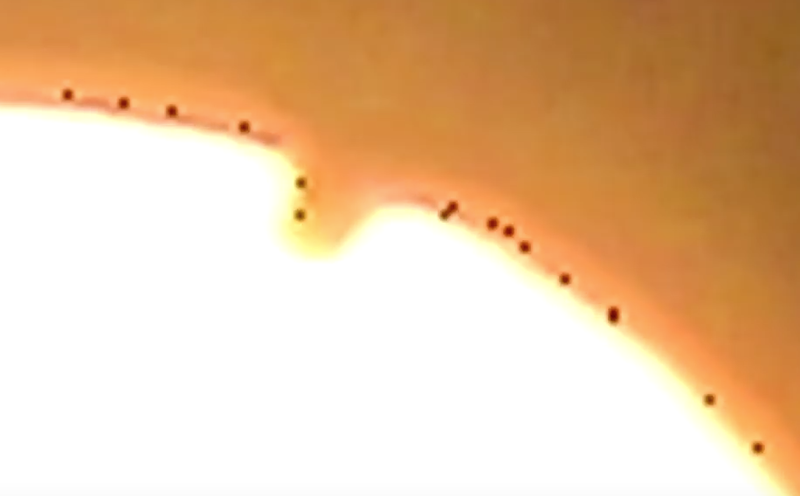 UFO SIGHTINGS DAILY: Hundreds of UFOs Recorded Around Suns Corona With 4K Camera, Aug 11, 2015, Video, UFO Sighting News. 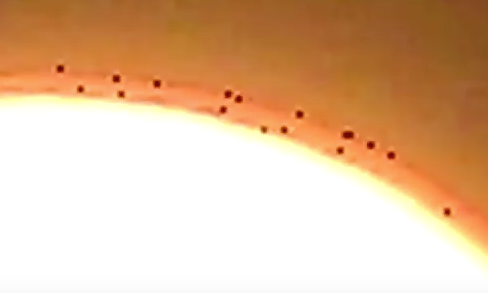 Hundreds of UFOs Recorded Around Suns Corona With 4K Camera, Aug 11, 2015, Video, UFO Sighting News. This video was taken by Youtube user UFOvni2012 and he said he used a SONY FDR-AXP33 4K Ultra HD, which is one serious camera. Understand I do not recommend looking at the sun with your camera unless you have an IR filter over it. The camera can be damaged. UFOvni2012 didn't seem to know this. The risk may have been worth it, this video is worth a lot since it shows massive UFOs shooting from place to place at light speed, hovering, then shooting off again. The 4K quality of the camera has caught something very unusual and unexplainable. I'm sure we will see more such videos from him, and I hope he gets it on a tripod next time so we can see it more steady. My guess is that these objects are gathering something important that is pushed to the suns surface, and they are competing with one another to get this rare element. Also know, this is the suns corona, which make UFOs easier to see, there is still the entire front and back we can't see. That means there are about 500-1,000 of these UFOs gathering that rare element. Very amazing video.